Today’s business environment for upstream and downstream businesses is focusing on their largest fixed cost - personnel. Costs include salaries and wages of regular employees, employee benefits, contract maintenance labor, support labor and other contracted services. Wage inflation is occurring everywhere. Companies in geographies where labor rates are traditionally low are seeing the need to be more efficient. Don’t regard cash fixed costs as unchangeable costs! 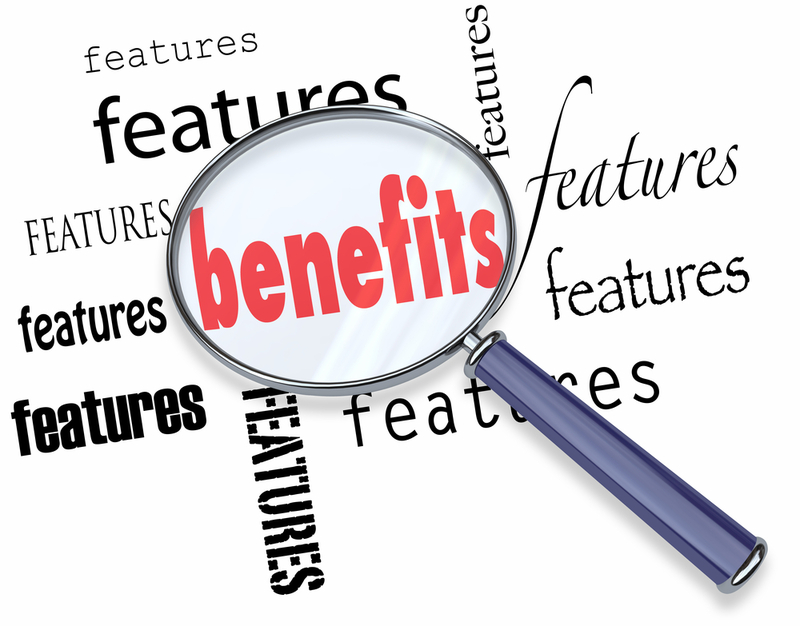 They can amount to 65 - 80% of the site’s fixed cost structure. Benchmarking focuses on manufacturing performance. However, it does not provide insight as to how efficiently equipment and manpower are being used. Complexity is the complicating factor here. The challenge is comparing the work effort needed to operate one process relative to another. 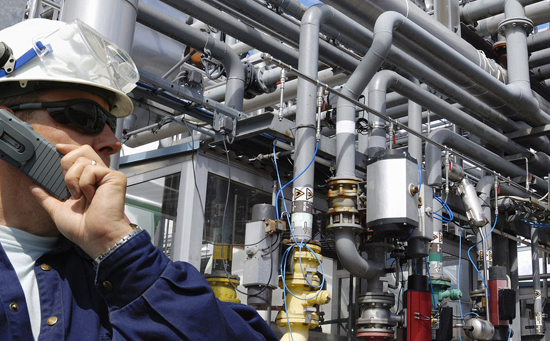 The Site Personnel Index™ (SPI) methodology allows for the comparison of staffing levels across sites independent of size, location, or type of chemical process. 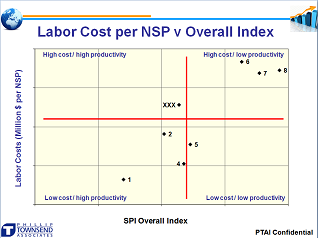 SPI is the only benchmarking program focused solely on the efficiency of manpower utilization, one of the largest cash fixed costs for a process industry site. SPI can be used for an entire site or for different business units at a site. SPI was developed by Shell and licensed to Phillip Townsend Associates (PTAI) in 2009. SPI has since been used in over 300 sites and is part of the PTAI portfolio of benchmark solutions. Why Chose Site Personnel Index (SPI™)? SPI was developed to see how efficiently a site uses its personnel no matter what the site's complexity - capacity, technology or labor costs. However, it can also be used to build networks within a company, to identify best practices, and share them internally across sites. The use of SPI can help harmonize organization structures at a company and create a baseline for target setting and improvement programs. Development of Performance Quartiles and Benchmarks to highlight areas for performance improvement versus peers. SPI used over time is an indicator of improvement from year to year. Assessment of efficiency of an overall site as well as for different business clusters on a site for 22 skill positions. Establishment of a starting point for "Pacesetting Performance Programs", for providing a step change improvement in personnel efficiency. 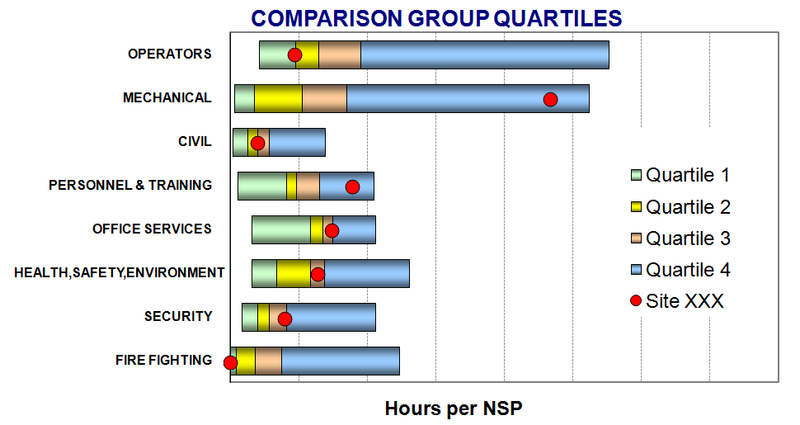 SPI involves first determining the complexity of the site provided by the Normal Shift Position (NSP) count. NSP is defined as the amount of hardware one operator can operate safely. 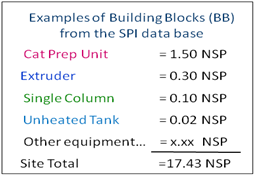 The count is determined from totaling building blocks with representative NSP values from client process diagrams. Second, actual hours worked at a site by everyone in 22 different job skill groups are determined. These skill groups cover all the standard activities for operations, maintenance and the support functions for a site. This work hour data is made comparable by dividing it by the complexity of the site. Finally, the SPI efficiency is expressed as a 100-based index value so that comparisons can be made with a peer group of other study participants. 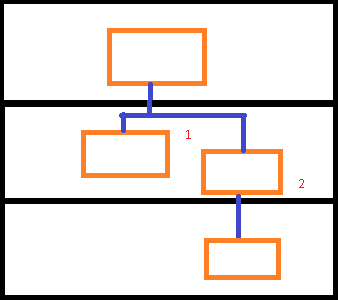 A site focal point will provide process flow diagrams and coordinate the collection of work hour data. A presentation and report of the results will be provided to management. The results of an SPI study provide participants a measure of how efficiently they are operating, maintaining, and supporting the site by understanding how their manpower is being utilized. Productivity and other competitive measures alone do not present a complete picture of how efficiently a site is being operated. The work hours used to operate, maintain and support the equipment are normalized based on the unique complexity of the site. This normalized data can then be compared from one site to another. 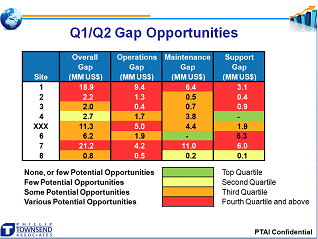 SPI provides a set of indices that are compared to relevant peer companies to identify areas for improvement. SPI was originally developed more than 30 years ago by Shell for use across their extensive network of production sites.Phillip Townsend Associates (PTAI) licensed it in 2009 and provides this service to the industry at large, including Shell and its affiliates. PTAI has expanded the SPI program to other companies interested in determining the manpower efficiency within their refineries, gas plants, and petrochemical sites. SPI has also been licensed by other leading chemical companies around the world and is used by them on a regular basis. 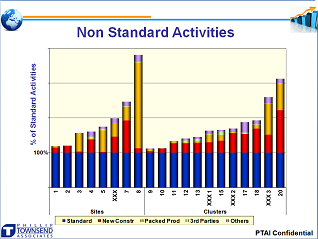 Confidentiality is a core value for PTAI for its SPI Benchmarking services. 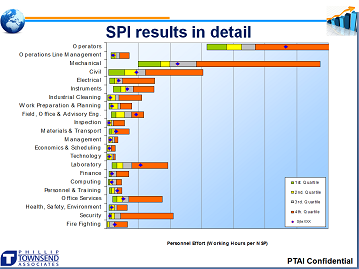 We cannot show actual client results however shown below are some examples of generic deliverables from a SPI study. Owners use their SPI results to guide their staffing and restructuring efforts. The results from the SPI study can be translated into Full Time Equivalents to provide a target for staffing across the owner’s 22 skill positions. Many owners ask how they can become more efficient by moving from their present quartile to the next lower quartile in selected skill groups over time. Movement to first quartile performance in many cases is disruptive and may not be valued by the business. Achieving a lower (more efficient) quartile position can be accomplished through a strategic plan. PTAI offers a Solutions Workshop which can act as a “bridge” to that strategic plan. The plan supports the achievement of a Operations Excellence strategy. The workshop takes the owner and leadership team through a process that selects which FTE gaps to focus, identifies current efficiency efforts, and selects best practices through self-discovery and a plan to implement them. The workshop focuses on selected larger gaps between benchmarked peer performance levels and current client staffing levels. The owner can use best practices to operate more efficiently and effectively. For instance, shown below are some of these best practices that can provide the pathway to moving to the next quartile to achieve a more efficient and effective use of personnel. Optimize your preventative maintenance work by removing obsolete PM’s, PM’s performed on missing equipment, PM’s that can transferred to operators, and PM’s with low failure finding rates. Review your maintenance strategy and determine who should perform your core and specialty tasks and non-critical tasks.